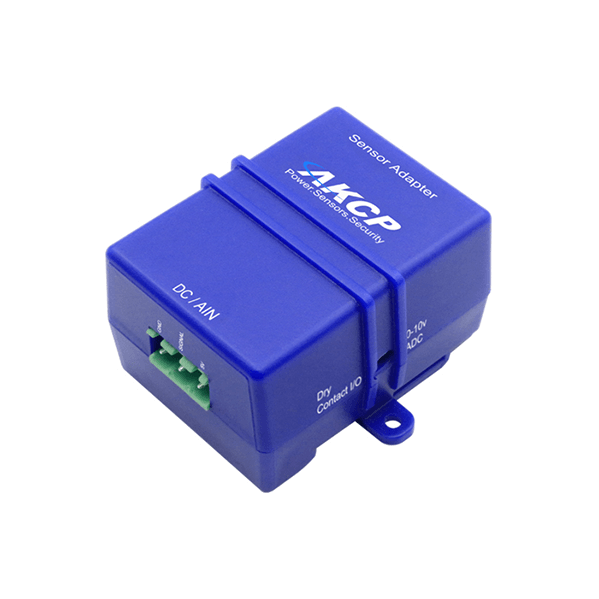 Connect sensors with 0-10 VDC output and dry contact sensors that require constant 5 VDC power. 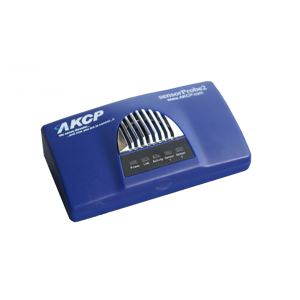 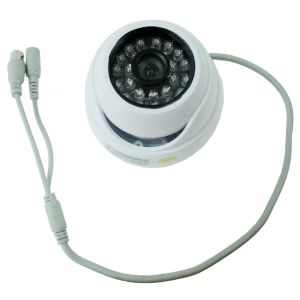 The Sensor Adapter makes it easy to connect third-party sensors that output a 0-10 DC Voltage scale. 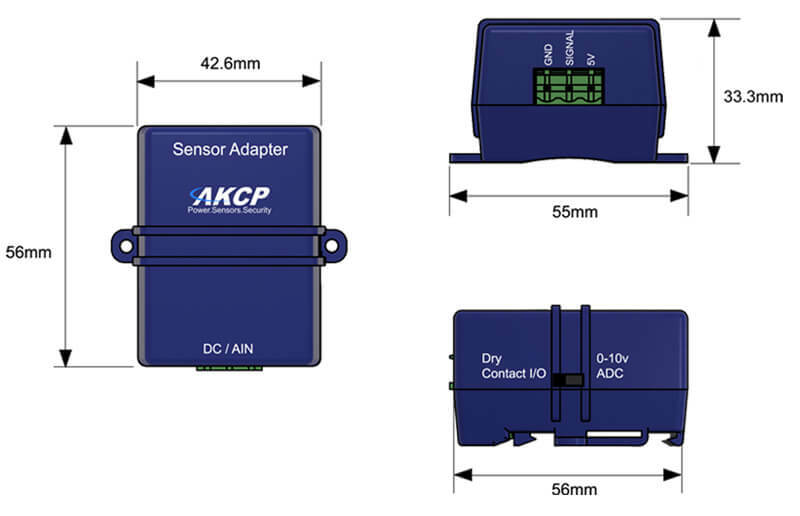 A switch on the side of the sensor adapter allows you to switch to a dry contact I/O instead, which is capable of maintaining a 5VDC output to power the sensor at all times, while still monitoring the dry contact input.